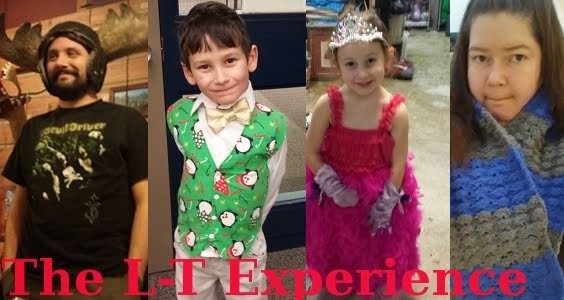 The L-T Experience: These Kids! 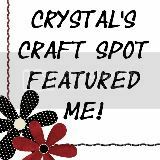 This morning at 7:00 am I heard the familiar pitter patter of tiny feet coming from Lane's room. Everyday, no matter if it's a day off or not, little Lane wakes up and runs to our room where she wakes us up. We have trained her to recognize the "7" on her clock in her room and she's not allowed to bug us until then. I was about to drag myself out of bed when that pitter patter moved down the hallway to Logan's room. It was a Professional Development day at his school so he normally sleeps in. Lane quietly woke up her brother and they both quietly went downstairs. I was left in bed wondering what they were up to. I had gone to bed early last night because I wasn't feeling so well. I was pretty sure that Terry had left for work this morning thinking that I was feeling well enough to watch the kids today, so he wasn't downstairs. What were they up to? I waited in bed and listened and played on my phone a little. Logan brought his sister downstairs, turned on the lights, turned on the computer and TV, connected the Chromecast and launched Plex. He then turned on Lane's favourite TV show "Littlest Pet Shop" to the episode she was on. When he got all that ready, he went upstairs and climbed onto the counter to retrieve Lane's sippy cup. He filled it half with juice and half with water just the way Lane likes it and took it downstairs to her. By this time I was really wondering what was going on and made my way downstairs to find Lane chillaxin on the couch with a full juice and her favourite blanket. Logan was hanging out watching TV with her. They had secretly planned all of this the night before. Logan had instructed his sister to wake him up instead of mommy because mommy wasn't feeling well. I texted Terry to tell him what I had just witnessed and to secretly check to see if he had something to do with planting this idea in Logan's head. He was as surprised as I.
I admit, I cried a little when I realized how sweet and considerate my children are. I think I'll keep 'em! (This photo was taken on Mother's Day last Sunday. 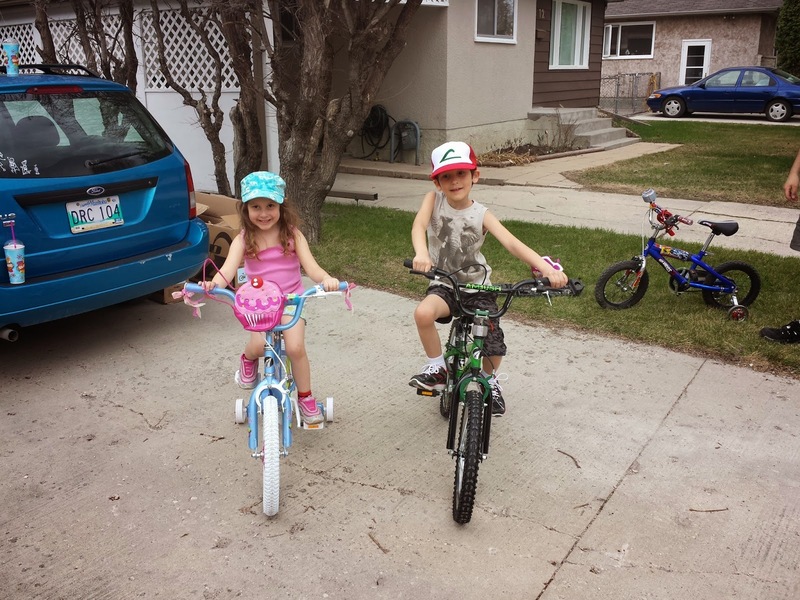 They are posing with their brand new bikes).